We'll Be Together was included in Elvis Presley's 1962 film, Girls! Girls! Girls!. However, that was not the first time that the tune had been used by the motion picture industry. I have been able to find another four films that used the number, either sung, or purely as an instrumental. If you know of other "appearances," please let me know. 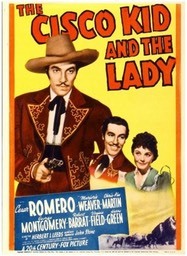 The Cisco Kid And The Lady, released in 1939 and starring Cesar Romero. An instrumental version of Carmen Carmela is used over the opening credits and Romero sings the song on horseback in the closing scenes. 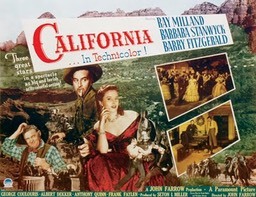 California, released in 1947 and starring Barbara Stanwyck (another link to Elvis, as she played opposite him in Roustabout). The song is performed by a group, starting at about 56m 50s into the film and lasting until about 58m 25s. 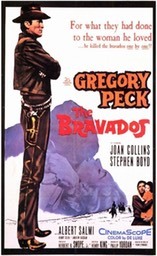 The Bravados, released in 1957 and starring Gregory Peck. The tune is listed on the soundtrack as simply Carmela, and is a brief guitar instrumental. The music is played in the film as the character played by Peck rides into a small village at about 1h 20m into the film and then enters a cantina; it ends at about 1h 22m. 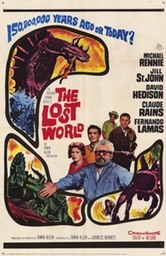 The Lost World, released in 1960 and starring Michael Renne. Carmen Carmela (listed on the soundtrack as simply Carmela) is heard briefly for the first time at about 18 minutes into the film, sung by Gomez, the helicopter pilot, who manages to sing whilst chewing on a large cigar and, in one shot, without moving his mouth… He repeats the song about five minutes later with rather more convincing miming, but with a guitar that seems to play itself! 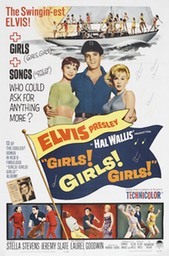 We'll Be Together was included in Elvis Presley's 1962 film, Girls! Girls! Girls!. Elvis sings the number from about 27m 20s until 28m 30s and that includes a really bad cut.